The Shire of Dandaragan’s Building Services Department ensures buildings, both existing and proposed are compliant with the Building Code of Australia and related associated Australian Standards. These regulations exist to ensure acceptable standards of structural sufficiency, fire safety, health and amenity are maintained in all building work within the Built Environment. The Building Services Department is responsible for administering and enforcing building regulations to avert or minimise the risk of danger to health and safety from sub-standard building work. For further information contact Shire's Building Services Department on 08 9652 0800. 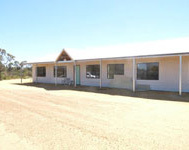 The Shire of Dandaragan has adopted a policy of imposing a verge security bond in relation to the issue of building licences. The reason for this is that the cost of repair and reinstatement to the street infrastructure as a result of new construction being undertaken on adjacent street lots, is no longer sustainable by Council. To avoid delays in the approval process, please include the bond amount with the normal building fees upon submission of your application. Included with the issued building licence will be an Application for Refund form, to be completed, signed and dated by the Builder for return to Council’s Development Services upon completion of construction for refund of the bond held. The bond only, will be refunded upon final inspection where no damage is observed, the inspection fee will be retained by Council. The bond can only be paid by the Builder, and refunded back to the Builder. A site inspection will be undertaken by Council’s Development Services at the time of licence issue, with photographs taken and stored for future reference. On receipt of an application for refund, an additional site inspection will be undertaken, and if no damage is observed, a refund authorised. Click here to download the Application for Bond Refund Form. If you have any queries or wish to confirm that this bond is applicable to your project, please contact the Council’s Building Department on (08) 9652 0800. This applies to both Certified and Uncertified applications, Application for Building Approval Certificates, also applications for Demolition permit. Guidance notes explaining how to complete these forms are located next to the applicable document, on the same website. Please Note: The Shire of Dandaragan does not accept online applications. 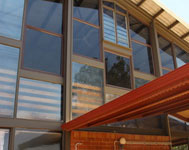 Where required original signed documentation and applications may be submitted in person at the Council offices or an application with fees may be posted to Council. Incomplete or sub-standard applications may be returned to the applicant without fee refund. Click here for drawing diagrams DN-01 - DN-06 types for crossovers. For a list of other building approval forms and guides - Click here (external website). 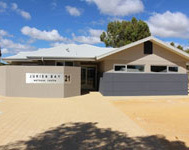 To speak with the Shire of Dandaragan Manager Building Services, please call 9652 0800.